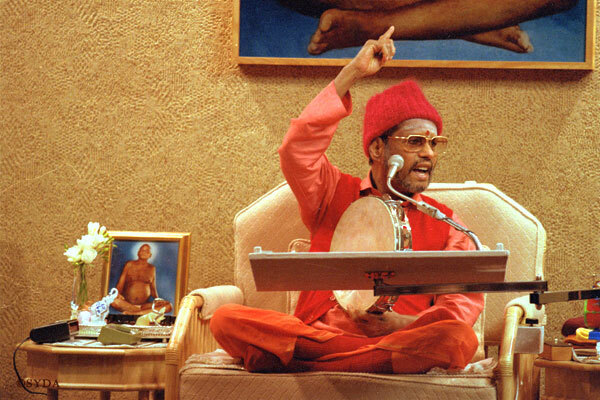 On August 21, 1970 Baba Muktananda began the first of his three world tours. Baba was a Siddha Guru and a renowned spiritual master, who brought the Siddha Yoga path to seekers around the world. Baba made shaktipat initiation, the awakening of kundalini-shakti, available not to just a few but to thousands of people for the first time in history. For years seekers from many parts of the world had come to Gurudev Siddha Peeth, the Siddha Yoga ashram in India, and had invited Baba to visit their countries. 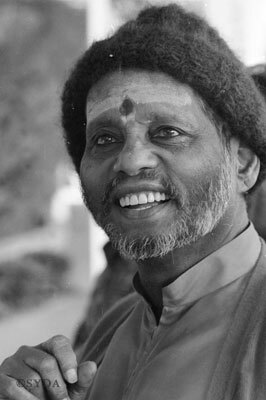 On May 12, 1970, Baba announced that he received the inner guidance and blessing of his Guru, Bhagavan Nityananda, to go abroad. On August 21, Baba set out with a small group of devotees. He traveled to Italy, Switzerland, France, the United Kingdom, the United States, Australia, and Singapore, and returned to India on November 29. 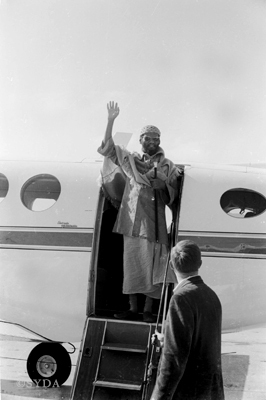 At the beginning of the tour, Baba held small gatherings, often in people’s homes. During these satsangs, Baba instructed students in the Siddha Yoga teachings and led chanting and meditation sessions. Many people received shaktipat initiation from Baba and began to experience spiritual transformation. As the tour progressed and word spread about what people were learning from Baba and experiencing in his presence, greater numbers began to attend his satsangs. Baba then introduced larger public programs and also gave meditation retreats in which seekers immersed themselves in spiritual practice under his guidance. Baba taught about the importance of knowing one’s own Self as a way of attaining true happiness. He spoke on a number of subjects including shaktipat initiation and the mysteries of kundalini, the nature of the Guru, the significance of devotion for God, the power of mantra, the joy of chanting the Divine Name, and the benefits of meditation inspired by the Guru’s grace. 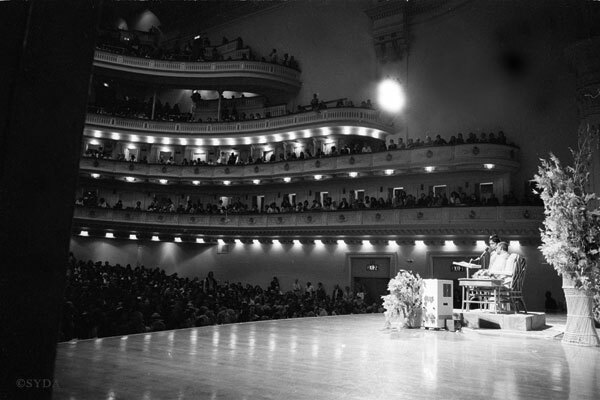 Baba’s first world tour was a milestone in the history of the Siddha Yoga path. Today, Gurumayi Chidvilasananda, the Siddha Yoga Guru, continues to bestow shaktipat initiation and guides seekers all over the world to experience the divinity in themselves and others. Open the gallery by clicking on one of the images above. The image will open to a larger size. On the keyboard, use the right-arrow key to advance to the next photo, the left-arrow key to return to the previous photo, and the escape key to exit.